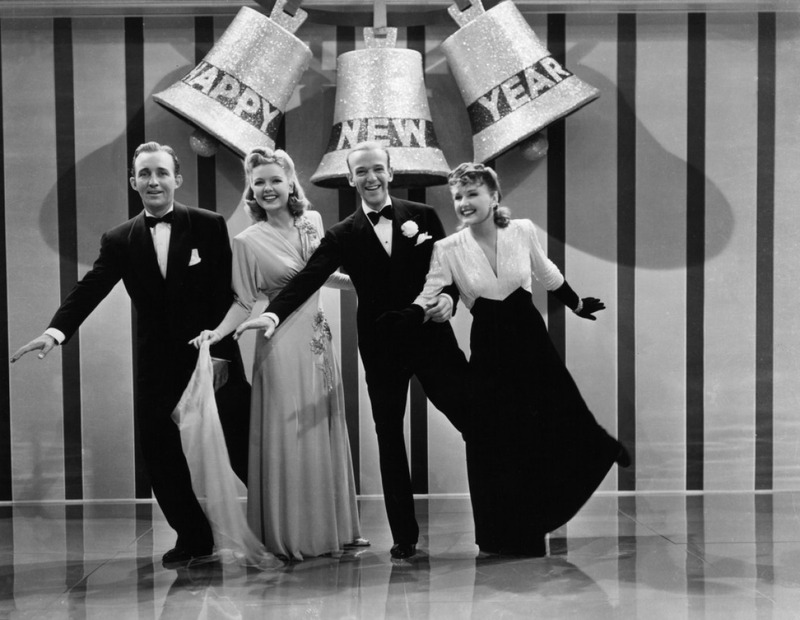 The combined numbers were introduced by Bing Crosby (Jim), Marjorie Reynolds, singing dubbed by Martha Mears (Linda), and ensemble. They can be heard on the original soundtrack release (Sunbeam Soun-trak). The recording by Crosby with the Music Maids is part of the album Song Hits from “Holiday Inn” (Decca). John Scott Trotter was the musical director on the radio program Kraft Music Hall during Crosby’s ten year stint as host, from 2 January 1936 until 9 May 1946. Trotter arranged and conducted music for Crosby from 1937 to 1954. Vocal group The Music Maids was a regular on Kraft Music Hall from 1939 to 1944. The Maids are not heard in the Holiday Inn soundtrack version. Is there any way to purchase sheet music that contains both “Happy Holiday” and “Come to Holiday Inn”? You’re welcome! May your new year be dazzling.